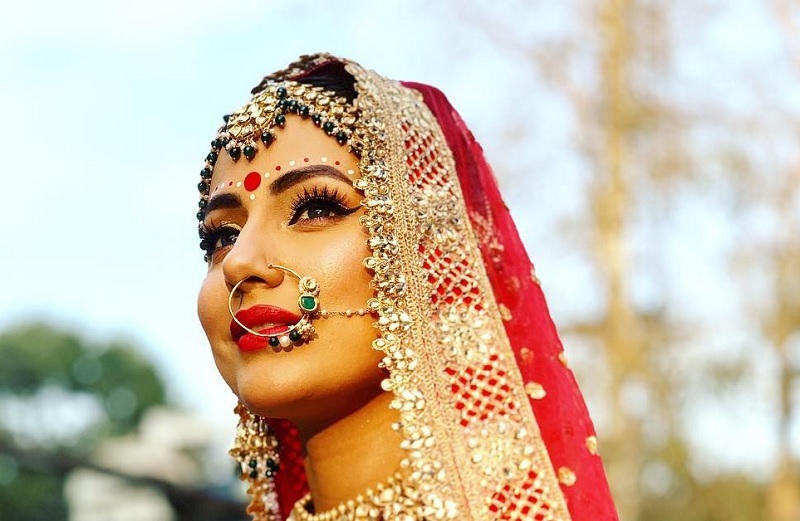 Hina Khan : With Her Bengali Bride Look There’s No Way She Cannot Make Your Head Turn! Hina Khan, the diva of tellywood is slaying since day one of her entry in Star Plus’ Kasautii Zindagii Kay, to say the least. The gorgeous actress who has always been on the top of her game in styling seems to be nailing it on-screen too. 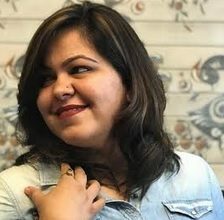 Although Komolika may be known for the swag and style she carries, her latest bridal look in the show is stealing all the limelight. Clad in the traditional white and red combination, she dons an off shoulder blouse with bilateral pleated dupatta with a light weight separate dupatta for the veil. The intricate and sprawled out white lehenga and the bright dash of red colour with the finely finished jewellery is making the entire look stand out. Don’t forget to look a little closely at those wing eyelined eyes and the traditional bindi adorning her forehead. No matter how evil Komolika may be, her look as a Bengali bride is one of the bests recorded on screen! Also Read : 5 Bengali Wedding Rituals That You Must Not Miss! Plus Bengali brides never wear white!!! !